Blue-Winged Olive Mayfly, Fly Fisherman’s Nemesis or Nirvana? 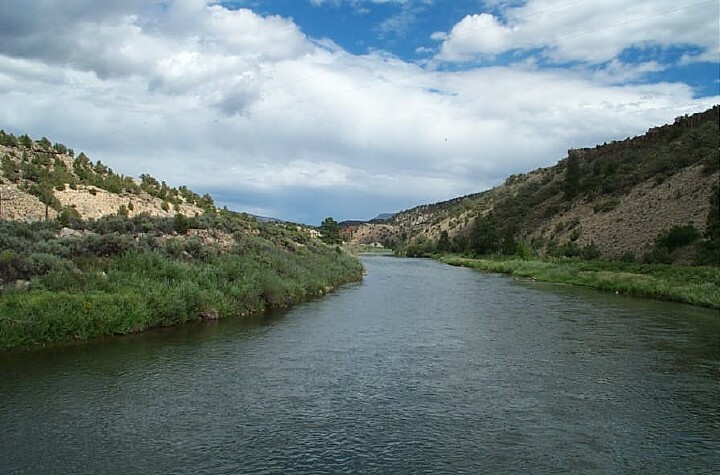 While fly fishing my beloved Colorado River Blue-Winged Olive mayfly hatch, I have witnessed numerous clients struggle with catching fish consistently during the annual spring and fall mayfly hatches. Did we have the right size, shape and color of the natural? Was the action of the fly consistent with the stage of the insect we were attempting to mimic? Were we not imitating the stage most available to the fish at that particular time? Was the tippet too large a diameter or maybe the leader to short? Was our position in relation to the feeding trout adequate to achieve the required presentation? All of these questions are important considerations for anglers fishing any hatch. Fishing the BWO hatch in western rivers for thousands of hours I have garnered a good bit of knowledge about the tiny Blue-Winged Olive and why it can be frustrating to your average fly fisherman. Having owned and operated a fly shop in the mountains near Vail, Colorado for almost twenty years, more Blue Winged Olive imitations went out the door than any other fly we marketed and more somber fisherman came back in the door to report seeing fish rise but not being able to fool any of them. Once in a while, when advice was followed, an angler returned to the shop with tales of dozens of large trout caught on small BWO dry flies. The family is officially referred to as Baetidae, major genera: Baetis (pronounced bee-tiss not bait-us). According to biologist Rick Hafele in his book Western Mayfly Hatches, the species has 16 genera, more than sixty different species and as a group constitutes the most important group of western mayfly hatches. For simplicity sake we will refer to the entire group as the Blue-Winged Olive or more commonly known as the BWO. 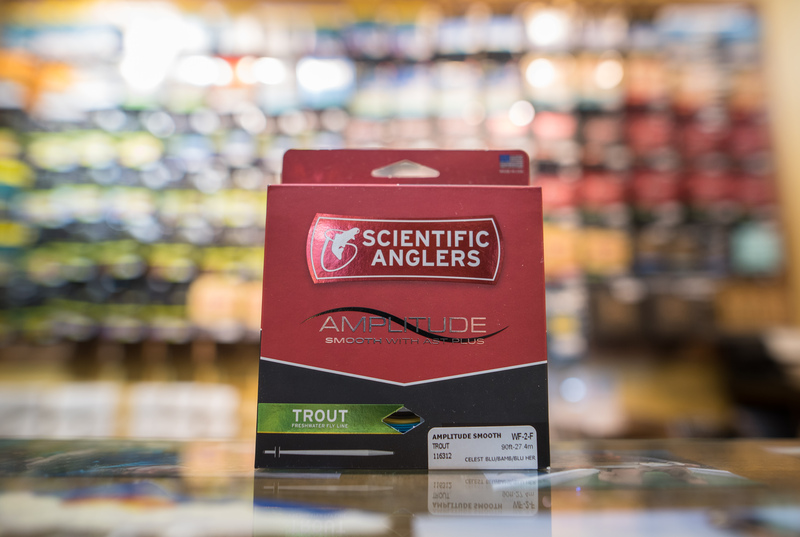 The bug’s emergence has a lot to do with its popularity with trout and fisherman who like to catch big trout. When fishing BWO’s it is very possible to join the elite 20/20 club, the feat of landing a twenty inch fish on a size 20 fly pattern. 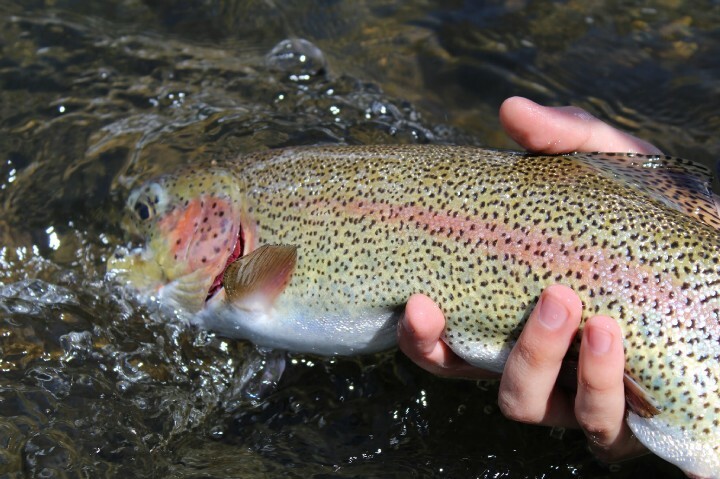 The hatch occurs a few times per year, with highest concentrations in the spring and fall but the bugs are available to the fish in all months. The BWO is typically found in clean, medium fast sections of rivers clinging to the bottoms of rocks dining on a variety of algae and diatoms. These insects are swimmers, use their tails for propulsion, and like to drift in the water prior to emergence. The most popular size fly used to fool fish would be in the 18 to 22 range, with some larger size 16 in the spring and tiny size 24 more prevalent in the fall season. Colors vary slightly with species and locations from light grey to brown, to olive. Experiment, because the BWO hatch makes trout very selective to this species only and you will catch more trout with the right color. My favorite approach is to nymph with a brown/olive mix and use a light grey to dry fly fish. The late afternoon spinner hatch that follows all mayfly hatches is more of a rust color. The general idea when fishing this hatch is to fish nymphs like Pheasant Tails near the bottom in the morning prior to main hatch which most often coincides with the warmest part of the day in the spring and fall, usually between 11 am and 3pm. Mornings and evenings offer the fly fisherman the best opportunity in the overlooked summer emergence. As the hatch progresses the nymphs will begin to swim in the water column up to the surface split their wing case and emerge. A swinging action of the fly or allowing it to swing up in the water column can be critical during this stage. As you begin to see fin and tail rises you will know when the fish are switching from nymphs to emerging nymphs and you will need to locate your fly up in the water column, maybe as a dropper from a dry. Some fly patterns that work well for this critical stage of the hatch include the Rs2, Mercer’s Copper Bead Olive Mico-mayfly and the Barr Emerger BWO. Soft hackles work very well also. When you begin to see the fish’s head coming out of the water and begin taking the adults on top is the time for you to switch to a dry. The plain Parachute Adams or Jack Dennis Adams Para-Wulff can be effective and are easy to see. Sometimes the fish will feed on the cripples only at this stage and also seem to favor parachutes over traditional dries. More than any of the above criteria my experience has told me that your presentation must be sound for success while fishing the BWO hatch. This means a 9 to 12 foot leader with three feet of 6x tippet. Notice any currents that may be causing the fly to drag. Do not be afraid to move or reach mend cast for a less intrusive cast. Follow these steps and it is possible to catch plenty of trout during BWO season. Trout love them and anglers should also. Do not fear this hatch any longer, with some elementary knowledge you are now armed for battle with the BWO mayfly.